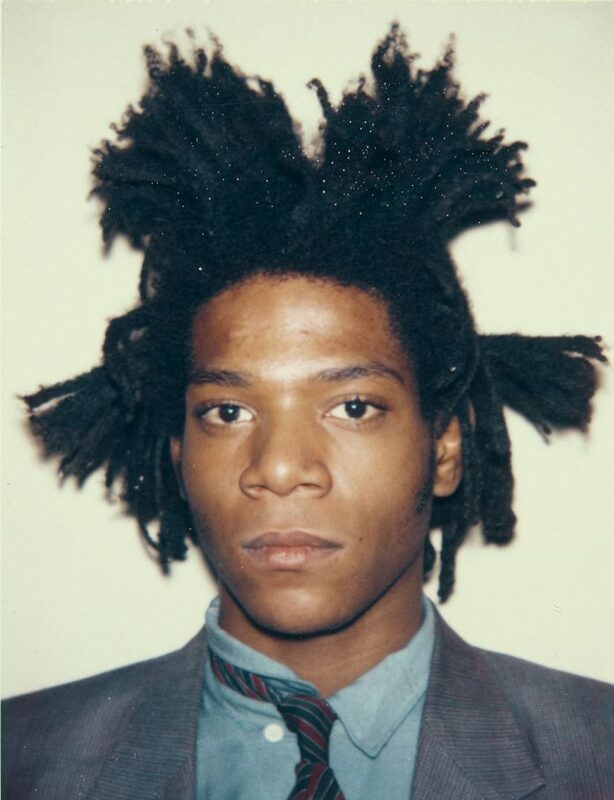 Known for his trademark graffiti tag SAMO that he plastered all over Soho in the early 1980s, Basquiat tried his hand at music, dj-ing, and acting. Norton will showcase two paintings and seven drawings, providing insight into the artist’s stylistic development. The Norton Museum has hooked a big fish for Black History Month, exhibiting art work and an accompanying film series on Jean Michel Basquiat – the uber successful Haitian Puerto Rican artist who began in the mean streets of Manhattan in the 1970s, was dead by age 27 and recently broke records at auction selling a painting in excess of $100 million. The exhibit, Jean-Michel Basquiat: Drawing into Painting, is running through March 18, 2018. With artwork on loan from private collections, the Norton will showcase two paintings and seven drawings, providing insight into the artist’s stylistic development and his integration of symbolic, cultural, and historical references to create his powerful art. Known for his trademark graffiti tag SAMO that he plastered all over Soho and the Lower East Side in the early 1980s, Basquiat tried his hand at music, dj-ing, and acting while becoming a major force in the art world. He had gallery shows at major Soho galleries by his early 20s and was on the cover of the New York Times Magazine – barefoot and wearing a paint splattered designer suit. He made some film appearances and was in the video for Blondie’s Rapture video as a DJ at the Mudd Club. His rough word art style was inspired by jazz musicians, boxers, anatomy books, and eventually his mentor Andy Warhol who he collaborated on a series of paintings with. He painted wildly on doors, windows, refrigerators, scrap objects and filled several notebooks with his sketches and street poet musings. During his brief, meteoric career, he battled drug addiction and racist backlash, one challenge fueling the other in the predominantly white art world that saw him as a major talent but also as something quite wild and untameable. When he finally fell to drug addiction, he had been depressed by Warhol’s early death and the constant pressure of proving himself to the critics and the art world expectations. Time has proved his talent, and record breaking auction prices have made headlines around the world. The Norton is presenting three free films on Thursday evenings during Art After Dark that trace the artist’s life and career – two films that were made several years ago and a new buzzed about film that premiered in London during an exhibit at the Barbican Museum last year. The last screening is a real must see. BOOM FOR REAL – The Late Teenage Years of Jean-Michel Basquiat (2018) directed by Sara Driver plays on March 15, 7:30 p.m.
BOOM FOR REAL follows Basquiat’s pre-fame life and New York City, the times, the people and the movements that surrounded him to form the artist he became. Using never before seen works, writings and photographs, Director Sara Driver worked closely and collaboratively with her friends and other artists who emerged from that scene: Nan Goldin, Jim Jarmusch, James Nares, Fred Brathwaite aka Fab Five Freddy, Lee Quinones, Luc Sante and many others. Providing their thoughts, period film footage, music, images, and anecdotes of their young friend, they help visually tell the story of Basquiat’s downtown NYC-pre-AIDS, President Reagan, the real estate and art booms. There are also some lectures and conversations planned to give more insight into this meteoric artists life. 6:30 P.M. March 8, 2018: Lecture: Jean-Michel Basquiat. Franklin Sirmans, Director of Pérez Art Museum Miami, and author of Basquiat and the Bayou (2014), discusses the art of Jean-Michel Basquiat. Planning a visit? Check the Norton Museum of Art website for more information or call (561) 832-5196. The museum is located at 1451 S. Olive Avenue, West Palm Beach, 33401. Information about the Jean-Michel Basquiat Exhibit and Films at Norton Museum of Art. The exhibit, Jean-Michel Basquiat: Drawing into Painting will run from Feb. 8 – March 18, 2018. It will showcase two paintings and seven drawings of the artist.